Engineering Done Right. 3D Printing Software. Software designed to aid in the process of 3D printing guarantees part functionality before printing begins. Using simplified interfaces, most software guides users from build setup, support generation, and print optimization to fracture and break prevention. The programs also include features for project sharing and editing across workspaces. Depending on the printer and manufacturing method, most software solutions integrate with any 3D printer. 3D printing software facilitates the entire 3D creation process from topological optimization, part validation, build setup, support generation, build failure prevention, and microstructure prediction to integrated order and inventory management. The engineering process is one of the most important areas for 3D print creation. It typically involves four parts—build setup, support generation, failure prevention, and print optimization. Software tools that manage job build and recommend setup configurations are ideal for ensuring the 3D printed part’s structural integrity while maintaining a clear cost structure for 3D printing services. This is especially helpful for additive manufacturing schedulers who typically manage three to ten machines—building jobs for hundreds of parts each day as prototyping scales. “Software that makes recommendations about ideal orientations and prioritizes the production of parts based on a variety of criteria, including material, delivery date, and post-processing workflows helps keep the production floor running smoothly, and guarantees an accurate delivery date,” says Aleksander Ciszek, CEO, 3YOURMIND GmbH. As serial production rises, most jobs are defined once in the quality control phase and then reordered later to closely match part demands in a just-in-time production scenario. According to Ciszek, the ability to slot individualized designs into pre-structured additive manufacturing build jobs will soon be more important. Tools will support a qualified production process and accept customized 3D models. The goal of any software product is to automate mundane and repetitive processes—allowing the user to focus on more important decisions, comments Kenneth Fortier, product owner, additive, Mastercam, CNC Software, Inc. In additive manufacturing, repetitive tasks include building support structures, the inclusion of infill patterns to lighten parts, thermal analysis to identify likely residual stresses, and design iterations found in optimization software. Raft layers—passes built into the part that are sacrificial to the removal process—are an important function for build setup. Boundary and infill control are also important for managing how and where the energy source is traveling, shares Fortier. “Giving the engineer control of the process parameters like laser settings, powder source and delivery, shielding gas flow rates, and bead width allow for a fully controlled process,” he continues. 3D printed support structures reinforce 3D model parts during printing. Once 3D printing is complete, the support structures are removed in a variety of methods depending on the printing process. 3D printing software offers support generation modules to help builders create a structurally sound product. While building the 3D printing job, the goal is to reduce the amount of required support while simultaneously keeping the part’s structural integrity. “Software gives the build engineer the option to optimize for strength or reduction of material or volume, and can automatically adjust the parts accordingly rather than each adjustment needing to be done manually,” explains Ciszek. Important and difficult aspects of serial additive manufacturing include quality assurance, part reproducibility, and failure prevention. 3D printing software should feature failure prevention modules to meet certification processes often found in automotive, aerospace, and medical applications. With direct integration into additive manufacturing machines, 3D printing software can define and retrieve real-time production data. Once processes are approved, builders can guarantee within an allowed tolerance that the production parameters matched. Parts that fall outside these parameters can be earmarked for additional review and qualification, rescheduled for a future build job, or scrapped altogether, says Ciszek. 3D software should also include topology and print optimization for successful 3D printed models. Topology helps clients boost the geometry to obtain the best performance at the least weight while print optimization evaluates and enhances the part’s location on the build plate. 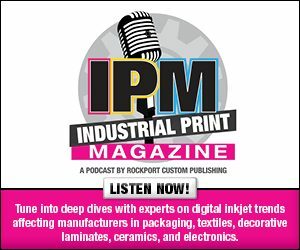 According to Kyle Indermuehle, VP engineering operations, Americas, MSC Software Corporation, print optimization is essential as different build plate locations can result in different print qualities. It also optimizes the part’s orientation, support structure, and machine parameters, and evaluates different material options while computing the compensated geometry so that the final print deforms into the as-designed shape. With 3D printing software, users evaluate countless different locations, orientations, support structures, and machine parameters to understand which combination leads to a successful, high-quality print. Engineering features are available in select 3D printing software that speed the design and manufacturing process. Often times, focusing on the manufacturing process is challenging for software users. Each 3D printing device is different and the powder varies with multiple sources. Therefore, Fortier believes controlling the powder’s delivery, travel speed of the energy source, or varying the powder output is critical for the proper results. Without this control, he says users may not be able to minimize residual stresses or change the energy source path to address thermal buildup in critical areas. The design and manufacturing process stretches from product ideation to detailed design, process design, and product lifecycle management. Other tools modify, validate, and document the design. Modules are available to prepare the 3D model for printing by generating support structures, choosing materials and machine settings, defining optimal toolpaths, simulating the process, and creating the print file, adds Yancey. 3D printing software should also include features that ensure the process parameter’s impact prediction and assesses and optimizes the build’s material parameters to identify the ideal configuration. “Together, these capabilities eliminate or at a minimum reduce build trial and error, saving time, money material, labor, and all associated costs,” shares Dr. Rashid Miraj, director of technical operations, AlphaSTAR Corporation. Not only does 3D printing software speed up the manufacturing process, it also works to prevent anomalies like fractures, breaks, and incorrect designs. Advanced simulation tools allow users to not only look at resulting part deformation from the print process, but also understand residual stresses in the part, the print material’s microstructure, and the part’s porosity. “We can simulate the post-print manufacturing operations like support removal, heat treatment, and other manufacturing operations,” says Indermuehle. A critical preventative component is process visualization software that allows users to analyze the material buildup throughout printing. Here, automatic void detection finds and eliminates voids that may be introduced to ensure parts with maximum density, says Fortier. Raft layer options allow users to add additional sacrificial material, which acts as a heat sink to control thermal stresses and possible warping. Additionally, multiple path options for filling areas allow users to control how the process is carried out. “Again, the idea is to control the thermal stresses and give the user options to choose from to apply to the infinite part variations faced by our customers,” he continues. Features are also designed for specific 3D printing processes. For metal powder 3D printing, tools that simulate the build process to predict warpage, cracks, and re-coater blade failures are available. According to Yancey, this not only helps to set the machine and build parameters appropriately to produce a good quality part, but it also helps to avoid costly trial and error failures. Preventing inaccurate 3D models goes beyond design software and includes the ability to monitor production quality and accuracy in real time. This is important for successful job repeatability and to track shifting production parameters from the machine. By tracking these parameters, Ciszek says the software can alert machine operators immediately to anomalies so they may decide whether to stop the job or analyze the affected parts after it is complete. 3D printing software supports project sharing and editing across the workspace to enable designers and operators to efficiently work together in a streamlined production process. It also supports collaboration between enterprise businesses and 3D printing service bureaus. Project sharing/editing tools should have enough data storage to handle 3D printing files. “All part documentation, production requirements, and communication about the model and manufacturing can be placed in a single interface, accessible by all parties along the workflow,” explains Ciszek. This replaces slower processes like email, shared files, phone calls, and Microsoft Excel documents. Equally important is the ability to define custom part requirements—allowing necessary production specifications to immediately be collected and speed the pathway to production and reduce potential error. “By moving to digital workflows with process tracking, notifications are sent out at all decision points and production milestones, allowing teams to accomplish far more,” adds Ciszek. Depending on the vendor, 3D printing software for engineering typically integrates with any 3D printer as long as it supports the hardware’s configuration and manufacturing method. 3D printing software is similar to 2D printing in that the software needs to be configured with the 3D printer model/brand. “Each printer has different settings such as slice thickness, printing strategy, power settings, speed, and materials,” comments Yancey. Software is available to work with many of the leading 3D printing hardware companies and support printers within design, print preparation, and post-processing. Several software solutions are specific to the manufacturing method rather than the 3D printer platform. 3D manufacturing methods vary, including fused deposition modeling, big area additive manufacturing, and laser powder bed fusion.